CPO present the world premiere recording of CPO present the world premiere recording of Ernst von Gemmingen's Violin Concertos Nos 3 and 4. This inaugural version is interpreted by one of the most versatile musicians of our time, Kolja Lessing, who describes the �expressive eloquence surging far head into early romanticism� in the informed booklet notes he has written for this release. 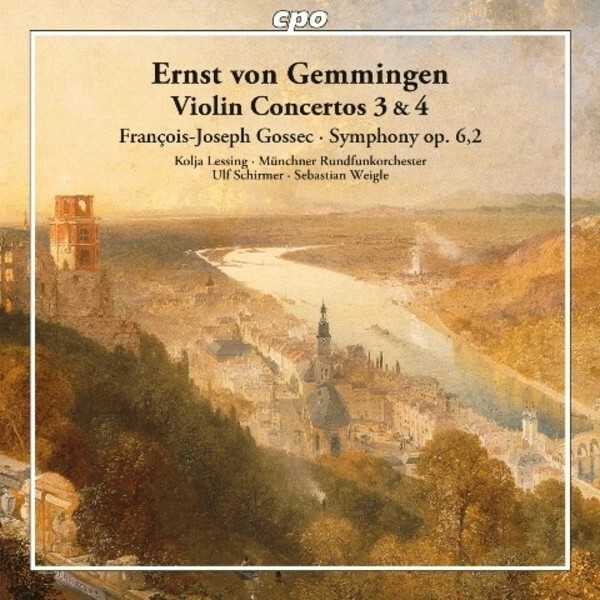 A symphony by Fran�ois-Joseph Gossec, Gemmingen's contemporary and the principal composer of the French Revolution, complements the two concertos. It is conducted by Sebastian Weigle.